It's Do-It-Yourself "ME" Time. . .
Home spa skin care treatments that you do yourself in the privacy of your own home can be a nice relaxing, pampering treat and do wonders for your skin too. Not to mention saving a BUNDLE at the same time! There are several spa facial products that are quite effective and should be included in any anti-aging skin rejuvenation regime. The basic and advanced skin care e-learning modules discuss the benefits of home spa treatments as part of your overall facial rejuvenation strategy. For starters, facial steaming is a wonderful strategy for opening clogged pores and hydrating the skin. Other DIY home spa treatments like collagen induction therapy (skin needling), microdermabrasion and facial laser all stimulate cell renewal, promoting rejuvenation. 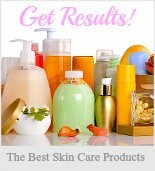 These skin care gadgets represent the essential home spa skin care treatments that you can incorporated into an effective anti-aging skin care treatment plan. Take a quick peek at all. . . But what about all those other skin care devices? Well, the truth of the matter is quite revealing. Here's the scoop. . . Frankly, research clearly indicates that there are only select skin care gadgets that will significantly enhance your rejuvenation regime. While facial lasers, galvanic treatments, and microdermabrasion are a few of the DIY home spa treatments that have scientific studies to document their effectiveness. However, spa face products like the facial exerciser continue to be shrouded by controversy. In essence, when you think about it logically, if skin care tools such as the facial profile toner really had an effective and profound impact on skin rejuvenation, there wouldn't be a household in existence without one! The spa skin care treatments and devices that are the most valuable in treating aging skin issues start with the magnifying light up mirror. Trust me, a good magnifying mirror (like a 10X when eye-sight starts to deteriorate along with everything else. . .) is an essential and important beauty tool to have in your skin rejuvenation toolbox. 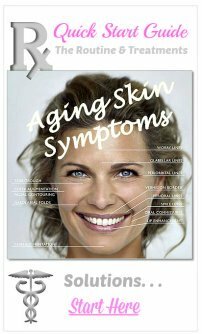 How else will you be able to clearly identify and monitor your aging skin care issues? The next most valuable spa face products, tools and devices to include in your rejuvenation routine are facial steaming, microdermabrasion treatments, skin needling, the Galvanic Spa and facial photo rejuvenating lasers. As technology improves, DIY spa skin care treatments like the photo rejuvenation light therapy facial laser will be as common as the spin toothbrush! So, if you are interested in experimenting and are a gadget person like me, you can certainly have quite a bit of fun while rejuvenating your skin at the same time. If not, not to worry! SpaFinder can help you find a skin care specialist in your area for professional spa treatments. What the heck, why not kick up your heels a bit and take a walk on the wild side! Invite the gang over to try out all the skin care gadgets. We've even found you a home spa party game plan. Choose the skin care gadgets that will give you results and that are proven to rejuvenate aging skin. Skin care tools aren't absolutely necessary mind you, but for those seeking every opportunity available to improve aging skin issues as well as for those who are in the "I love gadgets and I want one to play with..." category, your skin will reward you with a wonderful rejuvenated youthful glow. So put aside your wish for that quick magic wand effect and create your own magic by having a little fun with some DIY pampering spa face products. Otherwise, the best and quickest (not to mention cheapest) resource is SpaFinder to help you find the best spa near you. Either way, a spa pampering facial treatment is a decadently wonderful treat to give yourself ans your aging skin. spa skin care treatments and Face Products? Simply a "must have"! How else will you be able to clearly see all that your skin has to reveal? One of the newest DIY home facial photorejuvenation devices that combines both blue laser light therapy to treat acne and red light waves to reduce wrinkles and firm sagging skin. Facial steaming is a tried and true beneficial strategy to incorporate into any anti-aging skin care regimen to deeply clean the pores, add moisture, and rid the skin of impurities. This one is my personal all time favorite spa devise! I fondly refer to this home spa skin care treatments as my amazing little wrinkle iron. It uses microcurrent facial to smooth, tone, firm and literally iron wrinkles away. There are many options for a professional quality facial peel range from the very light starter peels to mild and moderate peels recommended for home use every other week. 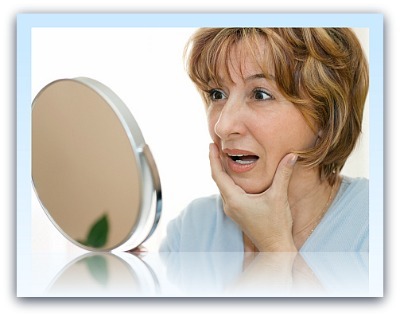 Home microdermabrasion treatments are known to be very effective in rejuvenating aging skin. Whether you choose a simple scrub or a professional quality home dermabrasion system, incorporating microdermabrasion treatments into your anti-aging skin care regime is considered a must. The microdermabrasion home spa devices can certainly be a fun toy for the gadget loving folks. You can swirl to your hearts content and achieve a nice rejuvenated rosy glow for your efforts! Derma Skin Roller: Skin needling, also referred to as collagen induction therapy, is a FDA approved non-invasive rejuvenation treatment that reduces wrinkles, age spots, acne scars and stretch marks. Derma Rolling is used by such celebrities as Angelina Jolie and Brad Pitt to keep their skin flawlessly healthy! The microdermabrasion cloth is a relatively new comer on the DIY spa scene. The micropeel cloth does all the exfoliation without the need for mechanical scrubs or chemical exfoliation products. The effectiveness of the wide range of skin rejuvenation laser treatments that are available both professionally and medically is well documented. But how about the home facial lasers? The selection of these home spa skin care treatments is growing and becoming more effective in producing results every year. J ust recently the newest home laser, the Tria Age-Defying Laser, received FDA approval. The newest and toted as the most powerful home laser treatment yet, the "Baby Q" was originally designed to be utilized as a professional spa treatment until it's popularity grew so rapidly that the manufacturer has recently made it available to the home consumer. Many people swear by the Derma Wand's exfoliating capabilities while it enriches the skin's surface with an oxygen spray. 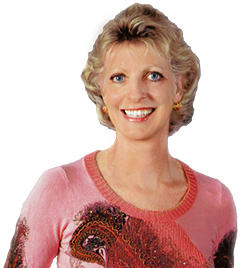 When all is said and done, is it worthwhile for rejuvenating aging skin? Using microcurrent technology, the NuFace device sends stimulation to skin tissue and muscles using a gentle electrical current. The stimulation effectively treats a wide range of aging skin concerns including firming and tightening sagging skin. Even Rachel Ray tried this one out on her show! The Oxy Light is one of the first popular lasers and compared to the Derma Wand in its ability to stimulate the skin, revitalize skin cells and improve the penetration of moisturizers. 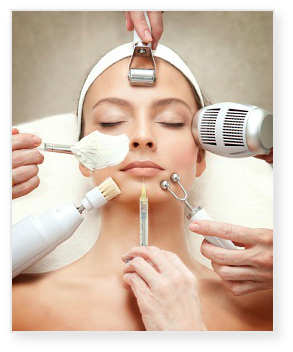 Though bear in mind that technology has made leaps and bounds in DIY laser rejuvenation. Modeled after the European spa technique of facial spooning, the facial smoother is described to literally iron out wrinkles. Fact or fiction? The Profile Toner is an exercising devise for the face and neck that improves muscle tone. But what about the controversy surrounding the benefits of facial exercise? You just have to just love the advances in technology! This is a great "zit zapper", the . If you have any doubts. . . This wonderful little gadget is a microprocessor that delivers the active ingredient, Ionic Silver, an anti-microbial medication right through the layers of the skin to stop cold sores before they even emerge. This is one of those great spa skin care treatments for those who suffer from the herpes simplex virus! 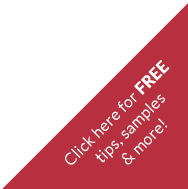 Whether you choose a Home Electrolysis Hair Removal Product or a Home Laser Hair Removal Device, a DIY approach will save you a gazillion dollars while providing you with similar results to professional spa hair removal treatments! 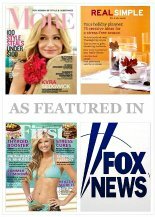 SpaFinder.com ~ A gift of spa! And don't miss the all time. . .